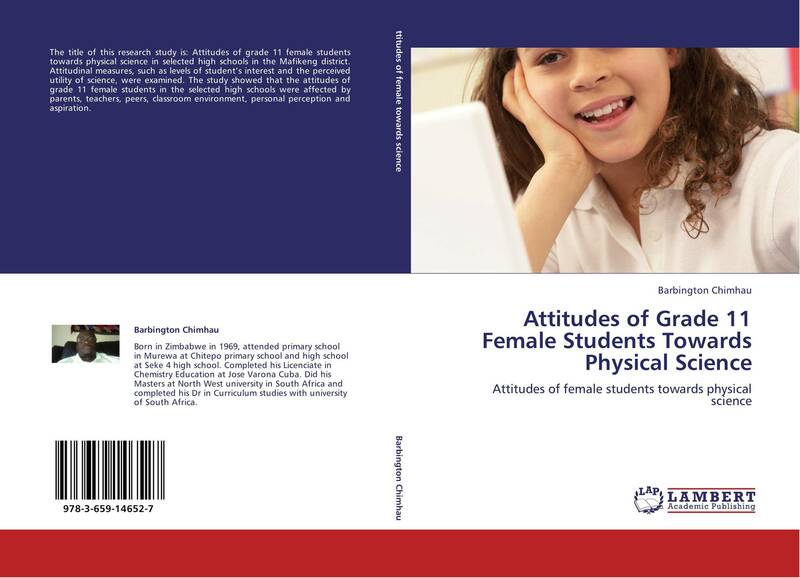 The title of this research study is: Attitudes of grade 11 female students towards physical science in selected high schools in the Mafikeng district. Attitudinal measures, such as levels of student’s interest and the perceived utility of science, were examined. The study showed that the attitudes of grade 11 female students in the selected high schools were affected by parents, teachers, peers, classroom environment, personal perception and aspiration.